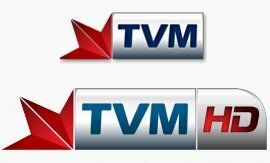 General TV Channel / Television Malta (TVM) is a terrestrial television network in Malta operated by the national broadcaster, Public Broadcasting Services. TVM broadcasts a mix of news, sport, entertainment, magazine programming and children's programmes. It is funded through a government grant and commercial advertising. The majority of programmes broadcast on TVM are produced externally of PBS. PBS publishes details of the types of programmes it wishes to broadcast on TVM and production companies provide PBS with a detailed report of their proposal for the programme. Most programmes are broadcast in Maltese, however the Maltese speak both Maltese and English so English also features, mainly in BBC and ITV titles. Sunday evenings are dedicated to classic British comedy, and English language films are shown on Saturday evenings.